On Friday, we got lucky – Steve was working at a job-site near our house, so we got to make a special visit. 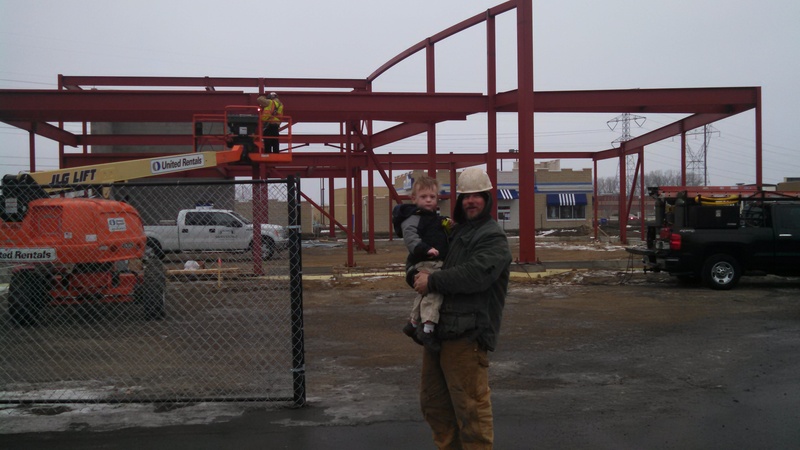 Jax was awe-struck when we pulled into the lot and he saw the bulldozer, skid loader, and forklift. He also liked to stare at the flash welding, which wasn’t so good! 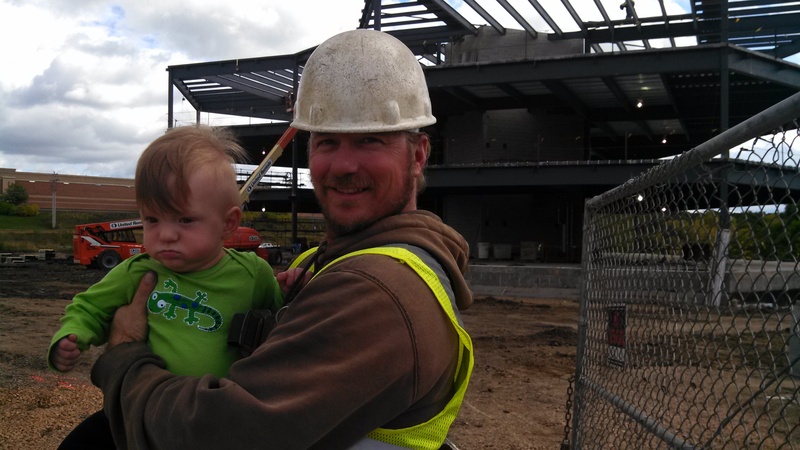 Jax has visited his Daddy one other time at the job-site. 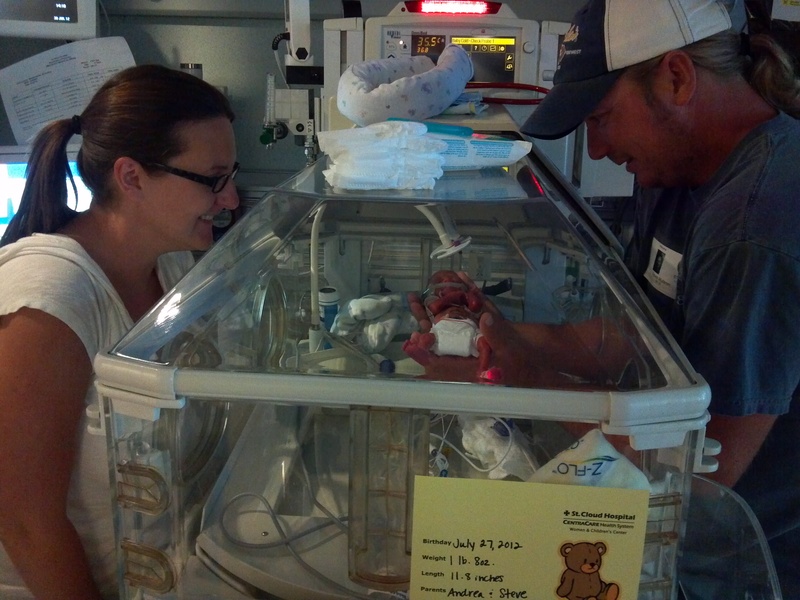 Don’t let these pictures fool you – Jax was so excited to be there! Here they are on Friday. My boys are a couple of studs. That’s so sweet! My son is always asking for his daddy when he wakes up in the morning. I’m sure the day he can go to work with him, he would be so excited too! PS. Jax is getting so big! 😊. Awww…I’m sure it will be special for your son, too! Boys and their daddies – there’s nothing better! 🙂 And Jax is HUGE – the kid will not stop growing. According to the charts, he’s going to be 6’2″ when he grows up. HA – going from less than a foot to super tall, who knew? Next Next post: Was James Really 22 Weeks 6 Days?